McLendon McBlog: Where the Wild Things Are... Delhi! And Some Mer Rouge Too! Where the Wild Things Are... Delhi! And Some Mer Rouge Too! 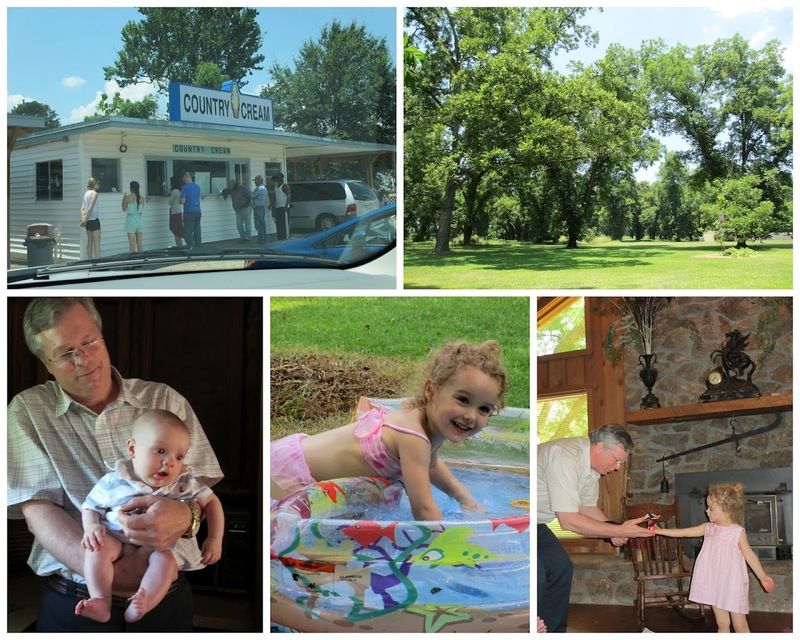 Paddy's inaugural trip to the US would not have been complete without a trip to the city, er, village, of Daddyboy's boyhood... Mer Rouge, Louisiana. So we loaded up the car and headed over! Mer Rouge is one of my favorite places for the reason that it is peaceful and pretty. Here's some of the highlights. When I look at this picture, I feel just AWFUL for making my family stand out in the blazing Louisiana heat and face due west into the setting sun. For a silly picture. I took this exact picture the first time Claudia rolled into Mer Rouge for the first time. No one looked nearly as pitiful, though. A few of our favorite things in Mer Rouge include, but are not limited to, Paps, Mama Kate, Country Cream, paddling pools set up in a beautiful pecan orchard and indoor remote control helicopter play. 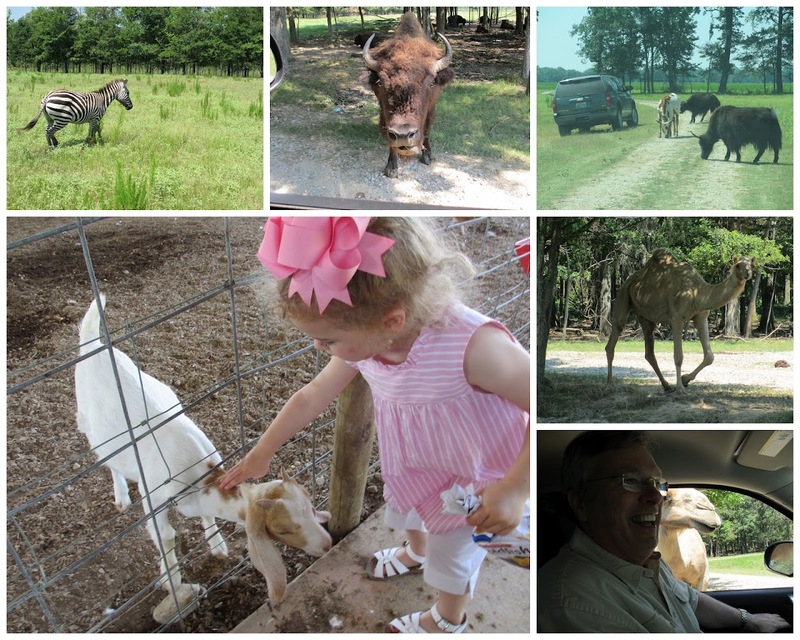 And who knew they had an awesome wild animal park in Delhi, Louisiana? I didn't. But Paps did! Paps took Claudia for a little adventure ride through the park. 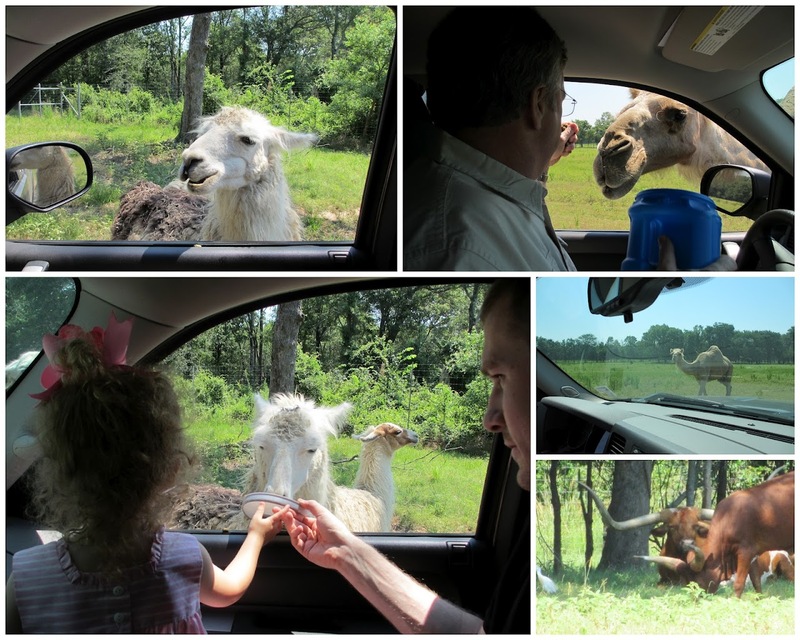 When asked what her favorite part of the trip home to the US was, Claudia replies, without fail, "well, a llama spit all over Pap's truck!" Here's Claudia and Daddy feeding the offending llama. These two kiddos had a blast visiting their Paps and Mama Kate. Three generations of McLendon men... well, two men and a baby. Gerald Wallace McLendon (Paps), Russell Wallace McLendon (Daddyboy) and Patrick "Paddy" Wallace McLendon (lil man)... I just love them all so much! THANK YOU, Paps and Mama Kate for making this trip so special. We had so much fun and can't wait until we see you all again. We love you both! OMG! i thought that place closed and i told mom it did. we'll be making a trip soon! Country Cream! My favorite ice cream ever! We used to make trips up there just to get some. Might have to take Olivia one time when I go home.